I have just completed my first year at the University of Birmingham and I have been volunteering at Eastside Projects since Easter. It was a trip to Eastside Projects during my Object and Medium module that inspired me to start volunteering there because I am very interested in contemporary art and I like the gallery’s culture and ethos. Working at Eastside has provided me with many invaluable opportunities to develop my skills and knowledge of this area of the art world, including helping during gallery installations. Furthermore, I have been able to attend very interesting talks and late night gallery openings, as well as being introduced to curators, artists and like-minded students. Volunteering at Eastside Projects is something I would highly recommend to anyone with an interest in contemporary art and information on becoming a volunteer can be found on the gallery’s website (http://www.eastsideprojects.org/volunteering/). The current exhibitions are Silks by Samara Scott and YOU AND ME HERE WE ARE by Roger Coward, and I hope that this post explains a little bit more about how the gallery functions as well as serving as a taster of the current exhibitions. 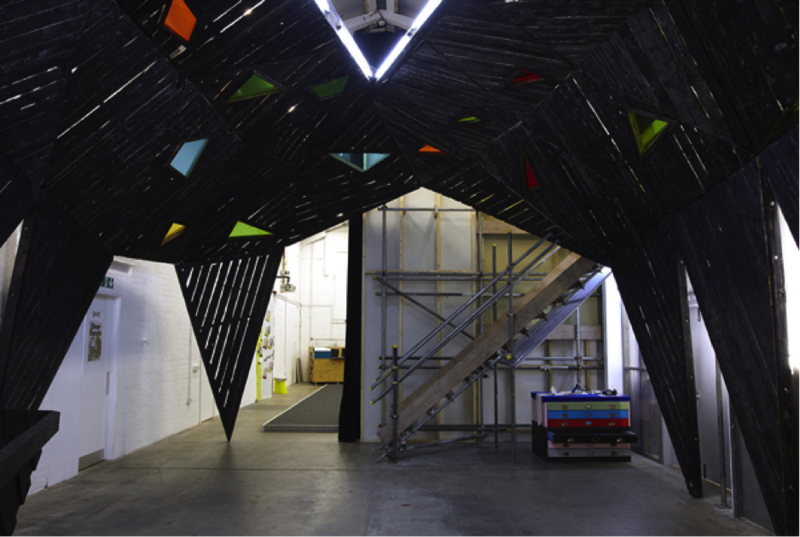 Eastside Projects is a contemporary art space in Digbeth. The gallery is curated by artists who commission experimental contemporary art exhibitions in order to demonstrate the use of art in society. The city of Birmingham’s motto is ‘Forward’ and this is displayed all over the city through official documents, civic buildings and street signs. 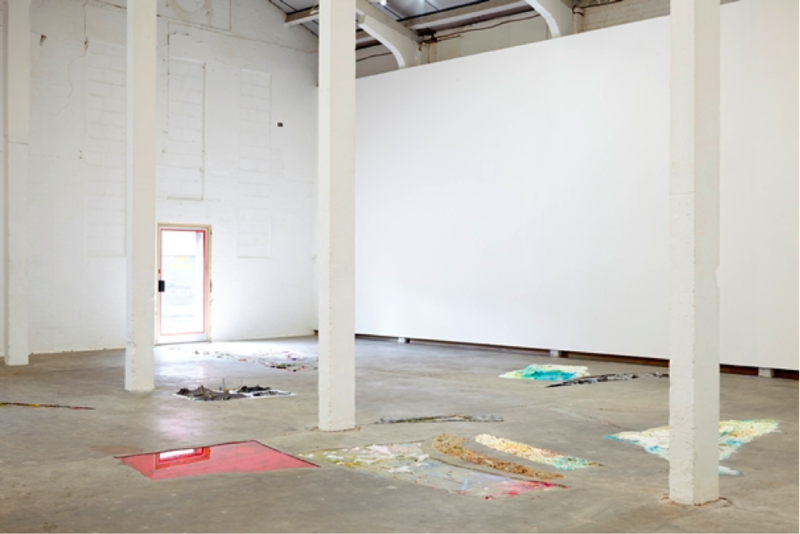 However, Eastside Projects believe that Birmingham should have a new motto: ‘Layered’. This is because, as described in Eastside Projects User’s Manual, Birmingham Council can be symbolised as a hammer; forever knocking things down in order to move ‘forward’ and start again. In response to this, Eastside Projects propose that instead of always knocking things down with the negative connotations of Birmingham’s motto of ‘forward’, art and artists should be involved in every level of the development of the city. In this way, the city could have an ‘alternative urban landscape’ where cultural history could coexist. The gallery is an interesting and eclectic mix of artworks past and present. When exhibitions finish, the gallery holds on to parts of the exhibitions (for example the door handle, black pleasure, chairs and table cloths) to create the ever evolving and layered landscape that is Eastside Projects. Currently at the gallery are the exhibitions ‘Silks’ by Samara Scott and ‘You and Me Here We Are’, by Roger Coward which are open until July 11th. Further information on both of the artists is available to explore at the gallery. Eastside Projects is very inviting and friendly, with an endless supply of tea available at the honesty café. It is well worth the visit Wednesday – Saturday 12-5pm during the week, and particularly on Digbeth First Fridays. Noodles, glitter hairspray, household chemicals and pistachio shells are just some of the misused materials poured and pooled into the recently dug up holes in Eastside projects concrete floor. Samara Scott’s new exhibition ‘Silks’ combines and contrasts products you could find in a supermarket and demolishes our intrinsic desire for order and perfection. Realistically, the very notion of order and perfection is flawed. We walk into shops daily and scan the isles methodically and meticulously for the products we want. We never question why a yam from Africa is in the same location as Ribena manufactured in Poland. Products are ordered by their packaging and advertising materials, but Scott argues this is only to make us feel in control. In Silks, Scott blends these materials together in her pools of disorder and chaos, she works with no clear structured idea of what she wishes to produce because this would destroy the emphasis of the show. In this way, the flat paintings in the ground depict instances of beauty clashing together with moments of scum, like the splodges of milk plopped into the pond of oil. The works are alive and fragile, with the materials constantly evolving as they decay, rot, and in the instance of the salt crystals – grow. So called man-made materials are not stable, and these microbiomes are in a continuous state of flux. The publication ‘Lonely Plant’, which is about Scott’s residency in Turin, discusses the way she explores ‘the life span of materials in their interaction with processes of decomposition and intermingling’. The very title of the exhibition ‘Silks’ connotes the artist’s desire to express movement and fluidity. Scott’s works take influence from Wabi-Sabi, which is the Japanese world view or aesthetic centred on the acceptance of transience and imperfection. The miniature worlds are sensual, tangible and above all mysterious. The swirling colours and contrasts of textures make this exhibition a sensory delicacy and the exhibition is a fascinating visit. It will be interesting to watch the ponds change as they evolve and decay throughout the exhibition. The Artist Placement Group (APG) was established in London in the 1960s. The organisation’s aims were to reposition the role of the artist within a wider social context, including government and commerce. It also played a key part in the history of conceptual art during the 1960s and 1970s. 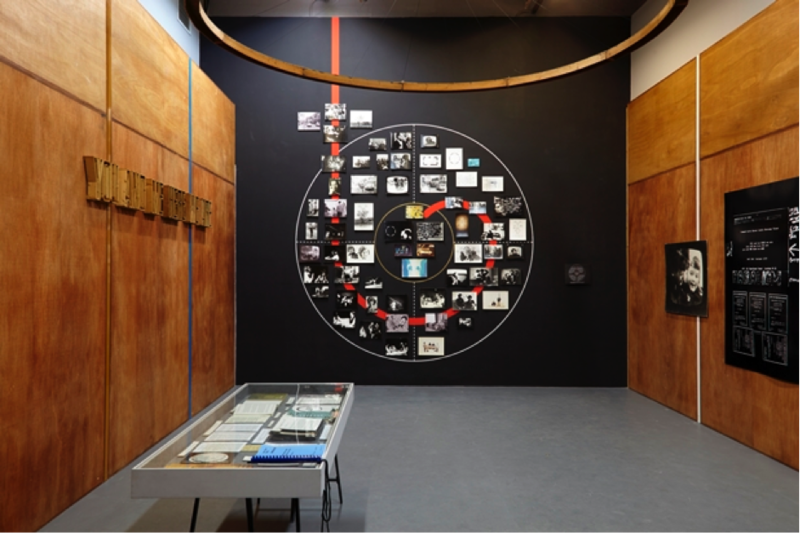 Roger Coward is a filmmaker who created a series of films and plays with residents and this exhibition explores Coward’s 1975 APG in Small Heath, Birmingham. Coward was the first artist to be placed in a government department on an open brief as negotiated by AGP and the Department of the Environment. The purpose of the urban studies, which were initiated by the Department of the Environment, was to develop a new approach to making improvements to environments such as Small Heath. Coward worked with four other artists – Gavin Brown, Roland Lewis, Evadne Stevens and Frances Viner. Crucially, the group emphasised the importance of art in society. They trained three community groups to use video in order to present their views on the environment to the City Council officials and these are included in the film ‘Spaghetti Junction’. By encouraging the use of VTR (video tape recording), local residents were able to communicate effectively and vividly with political representatives and officials as well raising awareness amongst their own community. Coward offered video training so that the community could produce films about the issues they faced and said ‘all I did was supply the equipment needed and explained how it worked. They then made the film on their own.’ The exhibition is a fascinating exploration into the integral use of art in society and the way it can function to deliver a comprehensive and articulate argument to people in power. The exhibition includes original material from 1975, such as the film ‘The Most Smallest Heath in the Spaghetti Junction’ as well as a symposium ‘The Studio in Society’ (Saturday 4th July), and a revival of two plays which were performed in Digbeth in 1975 which will take place on the 5th and 6th July.